Queen's welcomes the parents and relatives of our current students. The Queen’s community is diverse and friendly, not least thanks to the support of the parents, guardians, relatives and friends of our current and former students. We hope you will want to visit Queen’s often, both as the relative of a current student, and in the future. You are more than welcome to visit the College year round – do get in touch with either the Old Members’ Office or the College Lodge to arrange a time to pop in. Please be aware that on some days Queen’s will be inaccessible due to College events and holiday closures. We will always endeavour to arrange a suitable time and offer alternatives if need be. You can sign up to receive the College’s biannual Newsletter by getting in touch with the Old Members’ Office. 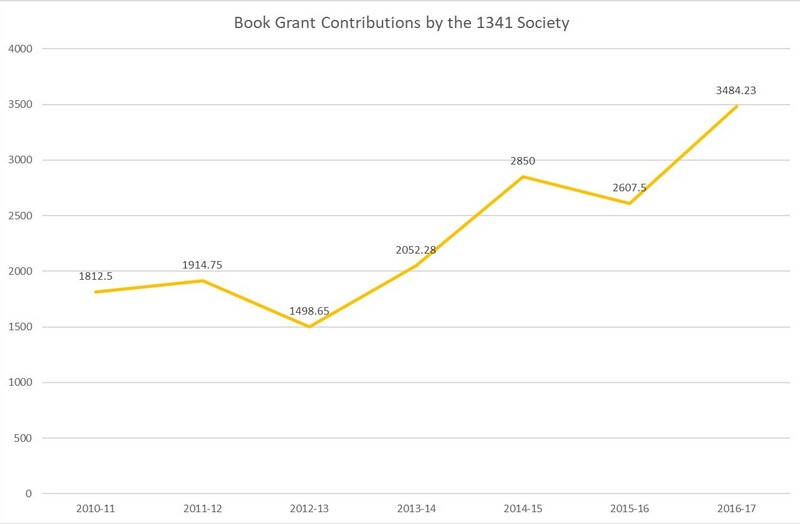 The 1341 Society is a student-run fundraising society that supports both the undergraduate and graduate students of the Queen’s College. In addition to supporting welfare initiatives, the society assists cultural, sporting and other extra-curricular endeavours of current Queen’s students. Through our termly events, we engage the College community by bringing families together, while working actively to make Queen’s a vibrant and friendly environment. Recently we have seen record attendances at our events. We are tremendously grateful to all the families who have supported us over the years, and we look forward to welcoming new and old alike in the coming years! We maintain an active presence on Facebook at http://facebook.com/1341Society, and are also available via email at secretary.1341society@gmail.com. The 1341 Society raises funds through our termly events. Every Michaelmas and Hilary Term, we hold a Luncheon, usually on the Saturday of 7th Week. Hilary 2017 saw our drinks reception held in the Upper Library, one of the finest rooms in Queen’s. After a three-course lunch, all are invited for port and coffee accompanied by musical entertainment performed by current students. Each Trinity Term, we hold our annual Garden Party in the College’s historic gardens. Afternoon tea, jazz music, and croquet made our most recent Garden Party in Trinity 2017 our most well-attended event to date. From the academic year 2010-11, we have been contributing an annual average of £2,123 to the College’s Book Grant scheme. For the last six academic years, we have given a total of £12,736 to the scheme, thanks to the support of parents and relatives of Queen’s students. In 2016, we also earmarked funds for the Junior Common Room’s ‘Ball 4 All’ fund, and increased our Book Grant contribution by 50%. For the academic year 2016-7, we made a profit of £3,107.01 from our events and contributed £3,484.23 to the College's Book Grant Scheme. We are awaiting the final figure of our contributions. Thank you to all who continue to support current students through the 1341 Society.